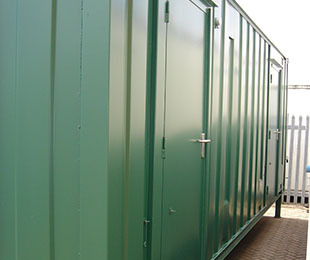 Here at Flintham Cabins Ltd, we are proud to offer a wide range of anti-vandal units in London and the South East. 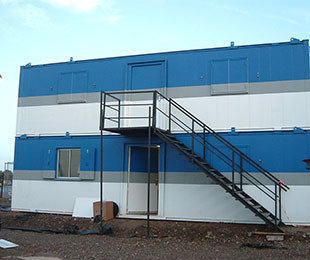 Our anti-vandal range promises to deliver high quality, robust and comfortable site accommodation, designed to defeat unauthorised entry in even the most remote areas, whilst offering a comfortable working environment. 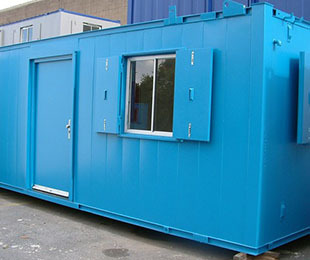 These units guarantee a superior level of protection at an effective price and are available in a range of sizes and configurations. All of our anti-vandal units are fully welded using 1.6mm steel and offer a single personnel door with hidden internal hinges, as well as a five-lever insurance approved mortice deadlock and anti-jemmy angle for the highest level of security. In addition to this, all windows have steel security shutters which are lockable from within. 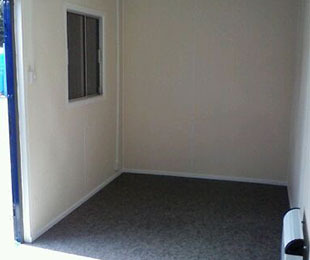 The interior offers vinyl wall panelling as well as vinyl flooring, lighting, heating and power points. 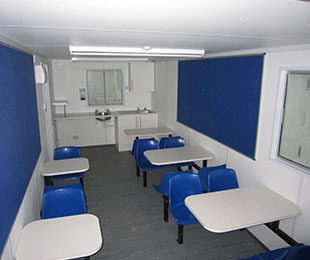 Our range of fully furnished anti-vandal units available in London and the South East is available in a wide range of sizes and can be fitted out as portable offices, canteens, drying rooms or a combination of different fittings. As well as this, you also have various increased spatial options on offer, such as being supplied with double stacked units, which comes complete with a steel staircase. 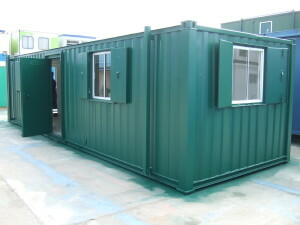 All anti-vandal units available from Flintham Cabins are supplied with externally mounted power points which offer an easy connection to the mains or a generator. If you have any questions you would like to ask about our anti-vandal range, or would like to get in touch with us to discuss your requirements further, you can do so by calling us on 0208 459 6972 or by sending us an email. 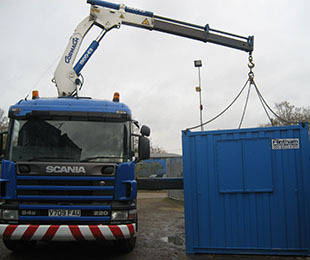 Alternatively, you can fill out our form for a quick online quote. We look forward to hearing from you and finding your perfect anti-vandal solution.